Welcome to Top of the Gulf! 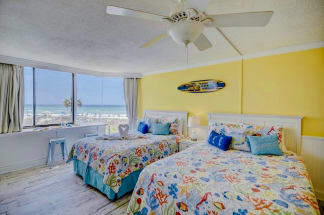 Emerald Coast by Owner is proud to offer you a number of elegant Top of the Gulf vacation rental properties! 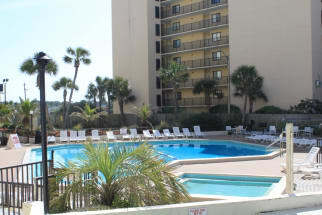 This gorgeous complex sits right on the shore and offers you some amazing views of the world's most beautiful beaches! The properties here are very luxurious and come with a number of benefits. The fully equipped kitchen, living space, scenery and so much more! Amenities here include the amazing beachfront pool with a snack bar on side, exercise room, convenient location, laundry facilities and more! That's not all there is to staying here however, by any means! Nearby is a world of fun! Some people love parasailing, jet ski rentals, golf, swimming with dolphins, paddle boarding, deep sea fishing, racing go karts, Ripley's Believe It or Not! Museum, Wonderworks and so much more! When it comes to the food down here, you're in good hands! There's an abundance of delicious seafood and traditional food spots that we'd love for you to try! Scroll down to view our selection of properties in this community. Be sure to hit the EMAIL OWNER button to send the property owner a message directly. Contact the property owners with any questions, they will gladly assist you in the booking process. 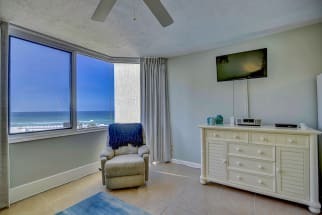 Book your next dream vacation with emeraldcoastbyowner.com!